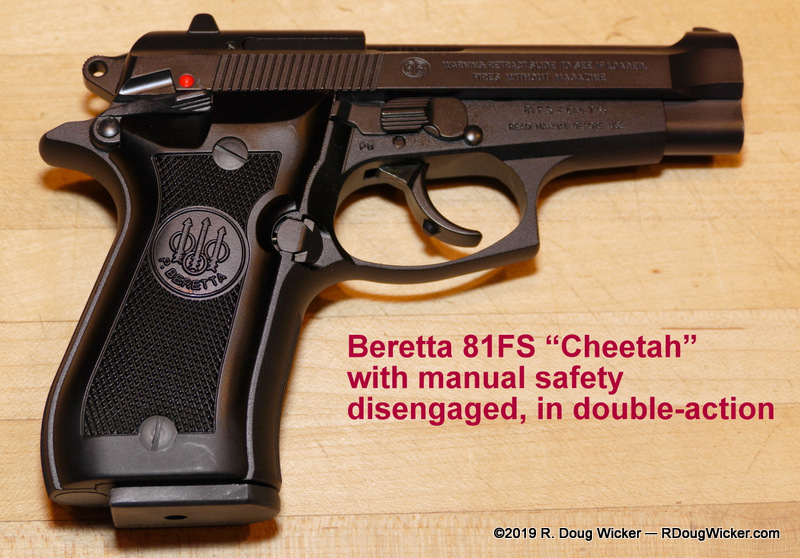 We’ve looked at the Beretta 80 Series Cheetah before, but the Cheetah in today’s article is one you seldom see imported anymore. How seldom? 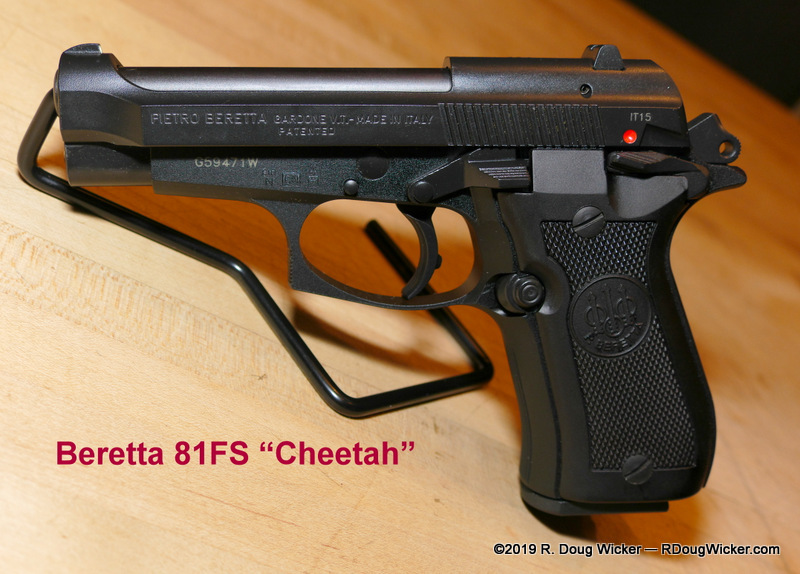 The Beretta 81FS Cheetah is chambered in .32 ACP/7.65mm, and .32 ACP is frowned upon in the U.S. and mocked as a ‘mouse cartridge’ unworthy of use for defense (it most certainly is not, but that’s a discussion for a later date). As such, I’ve not seen a newly imported 81FS in any gun store ever. I know they’ve been imported in small batches over the past several decades; I’ve just never seen one before this. Today’s example was manufactured in 2016, and the distributor shipped it out to my favorite local gun store (Collector’s Gun Exchange) just nine months ago. That means this Cheetah probably sat out pretty much all of 2017 in a warehouse somewhere in Gardone Val Trompia, Italy. 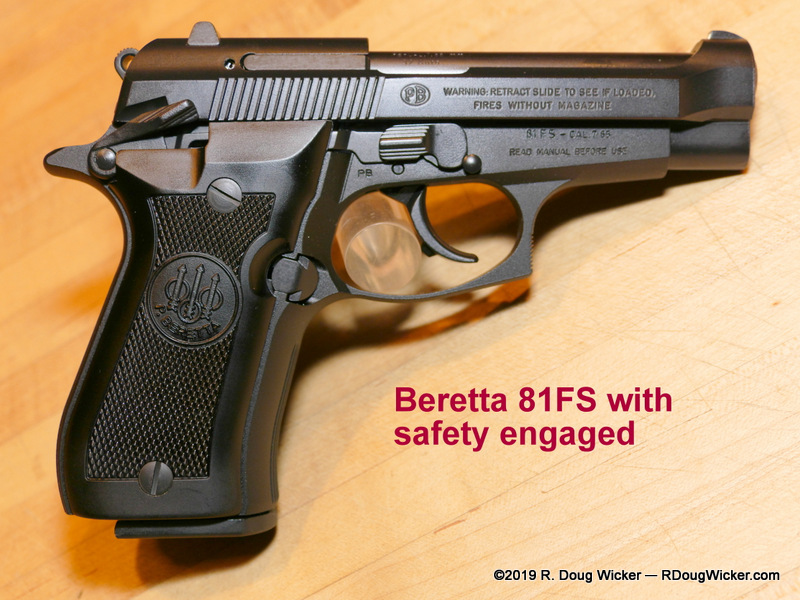 For a shooting review of the .380 ACP versions of Beretta’s Series 80 Cheetahs (the double-stack 84FS with 13+1 capacity, and the single-stack 85FS which hold 8+1 rounds) please see: Shooting a Pair of Cheetahs — Comparing the Beretta 84FS and 85FS. 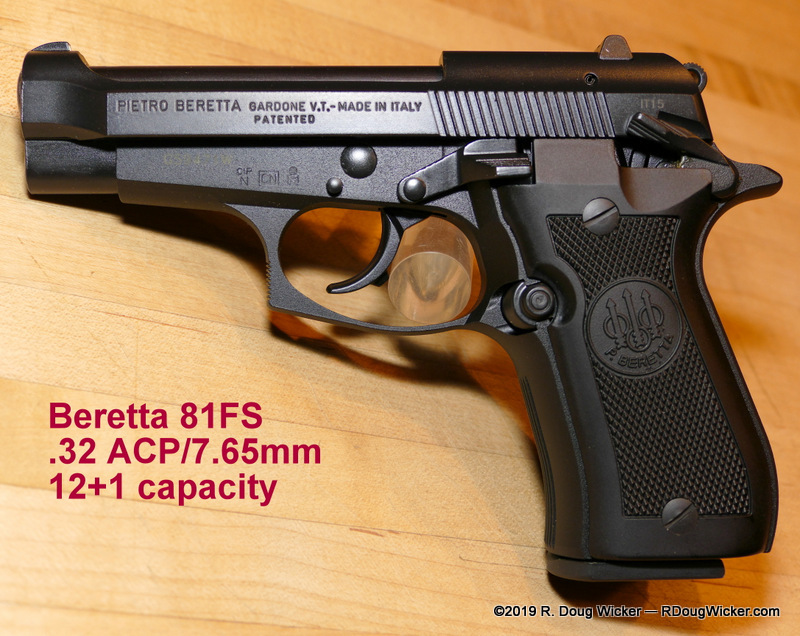 Interestingly, while the barrel length, total length, width, and height measurements match those of the .380 ACP/9mm kurz 84FS, the 81FS comes in weighing .9 ounce/25 grams more (probably from a thicker barrel padded out so as to use the same slide as the 84FS) and loses one round of capacity (which really makes no sense no matter how you slice it). Thrown up against the single-stack .380 ACP/9mm kurz 85FS, the weight disadvantage stretches to 2.3 ounces/65 grams. Ammunition advantage between the latter two, however, swings to the 81FS at 12+1 over the 8+1 capacity of the 85FS. 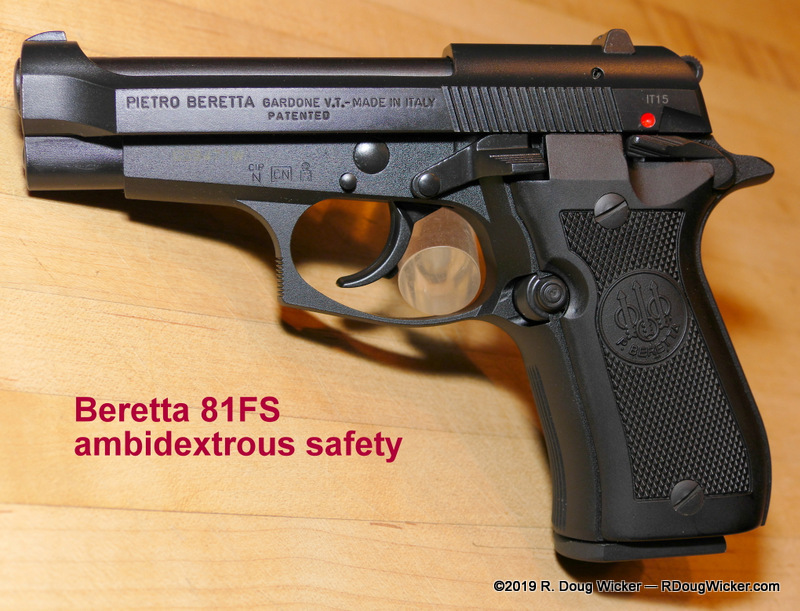 Fit and finish among these three recent Cheetahs (the 84FS and 85FS were manufactured in 2012 and 2016 respectively) is comparable, meaning excellent as usual for Italian-made Berettas. 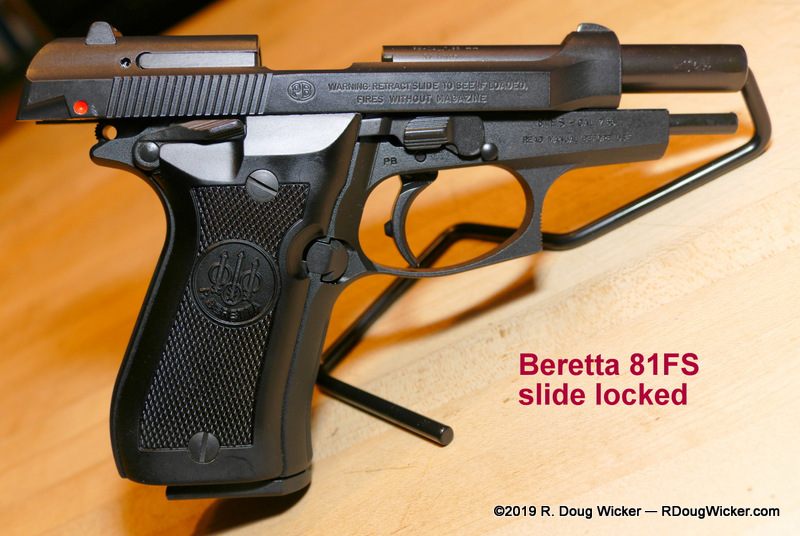 All three have Beretta’s superb, highly durable, and, in my view, very attractive semi-gloss Bruniton finish on both the steel slides/barrels and the alloy frames. 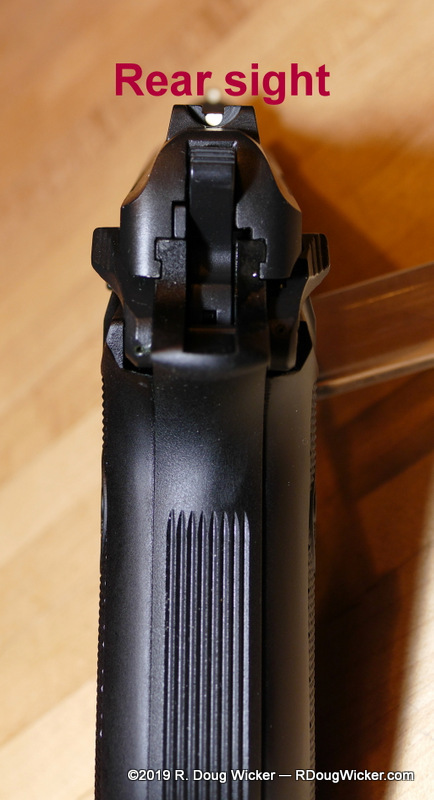 The double-action/single-action trigger is excellent. Double-action is smooth and consistent all the way to trigger trip. Single-action has a crisp break, but only after a longish take-up. The only disappointment, and I’m not a short-reset snob by any measure, is the seemingly endless third of an inch/8mm reset. That may not sound like much, but compared to most of my other handguns, such as the superlative Walther P99c AS, it feels ridiculous. I personally feel that the Beretta 80 Series Cheetahs are among the most attractive compact handguns in existence. True, they are large and a bit heavy for the calibers they handle, but they exude a certain panache simply not found in more current designs. They are natural pointers, almost on par with the Walther PP-series (my original concealed carry weapon being a PPK/S in .380 ACP/9mm kurz) in that regard, but they are not nearly as ammo finicky. The sights are certainly better than the Walthers, and unlike the PP-series the Cheetahs give you a slide stop release and an ambidextrous manual safety. 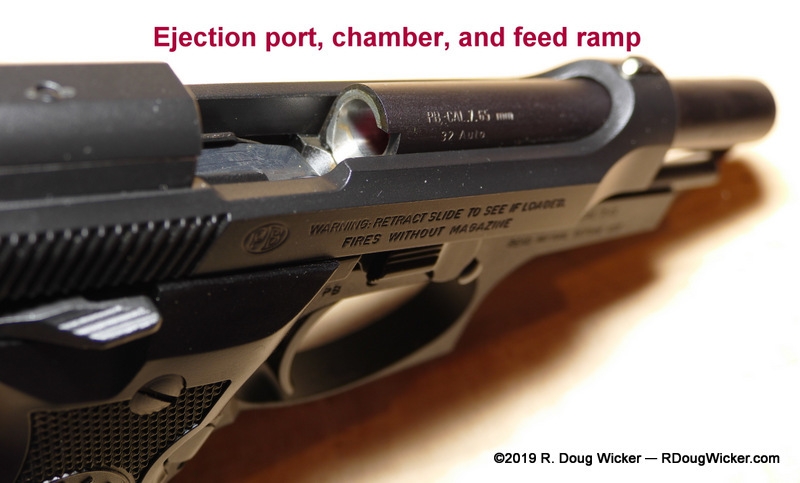 The gun seems to soak up recoil much better, especially in the .380 ACP/9mm kurz round, which results in more control and faster follow-up shots. 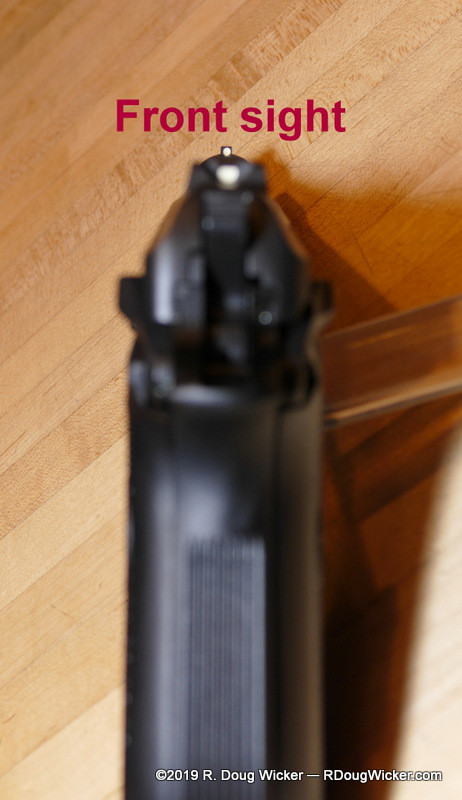 Beretta — Makers of the world’s largest ejection ports! Fortunately, I knew in advance that Collector’s had one of these 81FS rarities coming into the shop, as they gave me a call when it shipped from the distributor. Unfortunately, the Cheetah arrived the day after we departed for a month-long trip to Shanghai, China; various cities in Japan; Petropavlovsk, Russia; and several locations in Alaska. 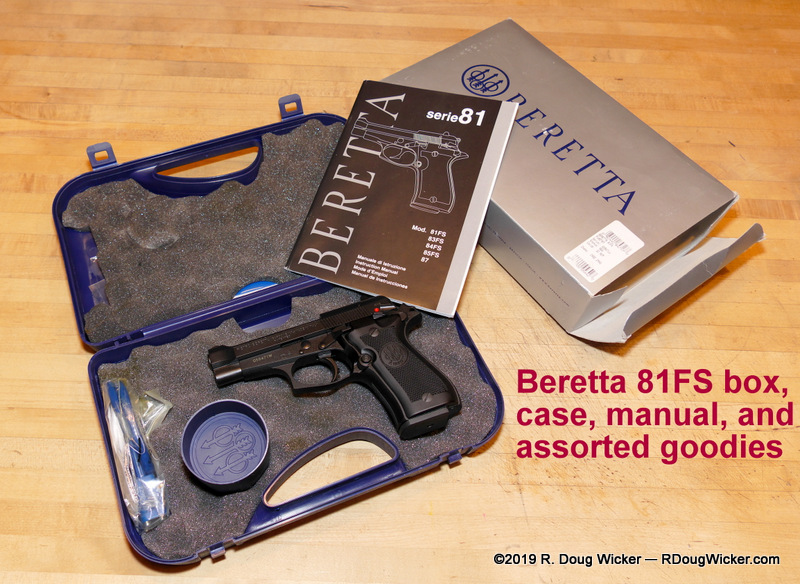 By the time we returned, that Beretta 81FS Cheetah was snagged on layaway, and Collector’s owner Paul Lee informed me that his distributor had already shipped out the last of his meager supply. But then a funny thing happened on the way to disappointment. Two weeks later I got another call from Collector’s telling me that the person holding this rare, recently imported 81FS had found something in the shop that he liked even more. 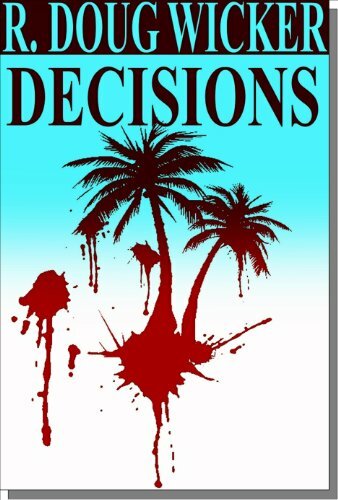 Unbelievably, he decided that he wanted a Ruger Mini-14 Paul had in stock more than the Cheetah. Knowing my disappointment for having initially lost the chance at the 81FS, Paul did nothing to dissuade the layaway swap, and two days later I was in luck. Now, far be it from me to complain here, but this is where a little firearms knowledge comes in handy, especially if you’re just starting a collection. Mini-14 Ranch Rifles are very commonplace, and there is currently no danger that you’re going to miss out if you don’t take the first one you see. Or even the hundredth, for that matter. 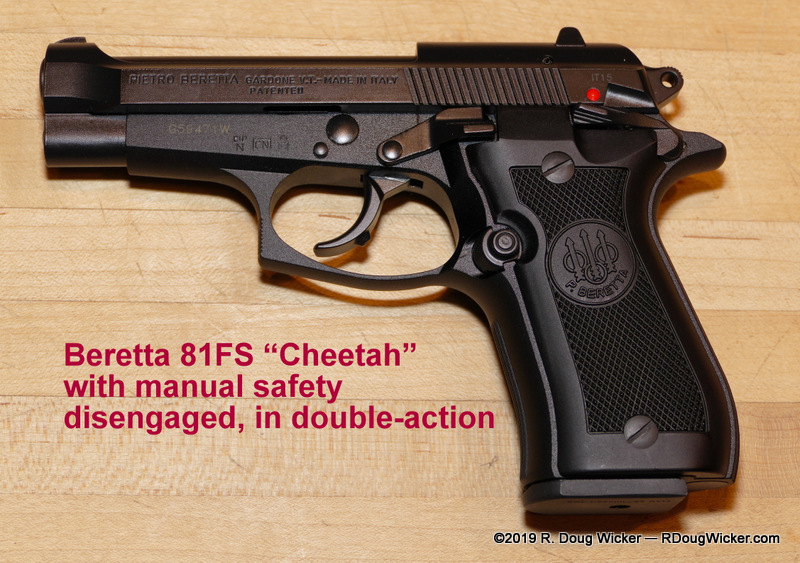 Not so on a newly manufactured, recently imported Beretta 81FS Cheetah. In my book, that’s a bit like passing on a bargain-priced, minty-condition stainless Colt Mustang Plus II (Friday’s subject) in favor of a current production Ruger SP101; or forgoing what appears to be a barely used original, first-year-of manufacture Ruger Police Carbine with a red dot sight included (Wednesday’s featured firearm) in order to snag a dime-a-dozen Mosin-Nagant 91/30 (a subject for a future article, I’m sure). You’ll also notice that my established relationship with Paul Lee and the salespeople at Collector’s Gun Exchange, forged over many years, helped me in acquiring something Paul knew would interest me. 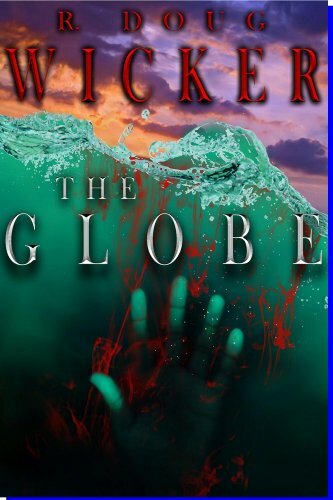 By now, they know what I like, they call me when something is either coming or being shipped to them, and they give me a good break on the price. Same with Henry Bone over at Sportsman’s Elite. If you’re serious about collecting, it pays to establish a bond with the locally owned gun store rather than the big box operation (I’m looking at you and your ridiculous used gun prices, Cabella’s) that may occasionally undercut them in price on new firearms. It also doesn’t hurt to have that local store sell you a box or two of ammunition now and again, even if you might pay a fraction of that amount over at Walmart. 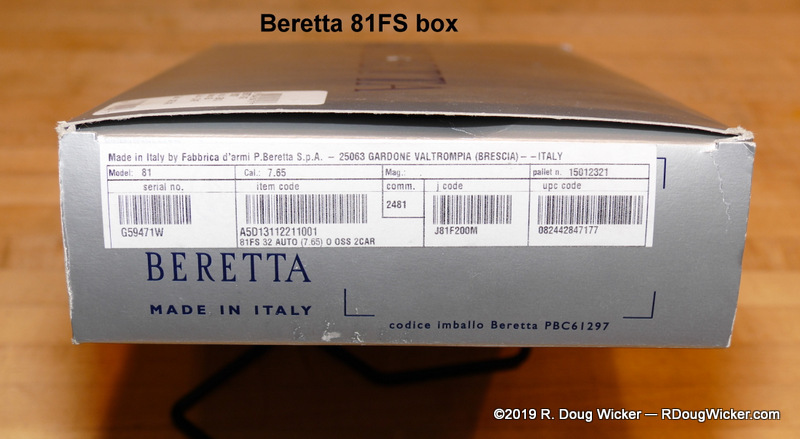 By the way, don’t bother going to the U.S. Beretta site to look for any Beretta Cheetah, not even the more popular .380 ACP 84FS and 85FS versions. They’re not listed there anymore (but they are on the Italian site), even though they’re still made in Italy and occasionally imported. So, if you see a new one, don’t pass on it if you even think you may be in the market for one at some point. You may not see it again. This is especially true of the 81FS, which isn’t even listed on the U.S. Beretta site for warranty registration; only the 84, 85, and 87 (.22 LR version) are listed as options, and the 87 isn’t even made anymore.